Remagen Safe Room System interior community tornado safe rooms are available in a number of off-the-shelf sizes and configurations. 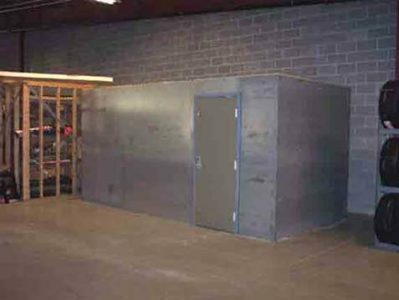 Standard safe room products may be rectangular or L-shaped, although custom size/shape safe rooms may also be ordered for particular architectural or functional needs of the customer. 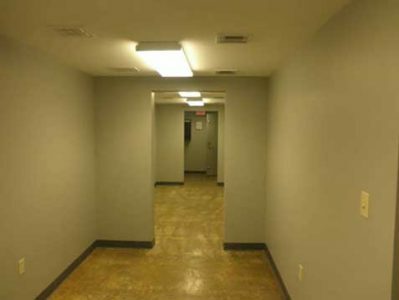 Interior community tornado safe rooms may have multiple occupancies such as restrooms, break rooms, conference rooms, and the like. 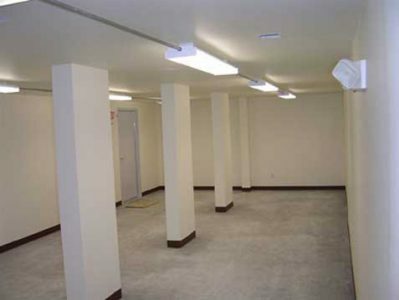 Standard interior community tornado safe rooms for as many as 200 occupants have been produced by RemagenSafeRooms. Corridor tornado safe rooms for up to 1,000 occupants have been produced. These safe rooms, which can also be standalone or retrofit safe rooms, can be configured so as not to change the architecture or function of the customer’s facility. An interior community safe room nearing completion. The roof is designed to carry the impacting weight of the masonry wall above the roof. 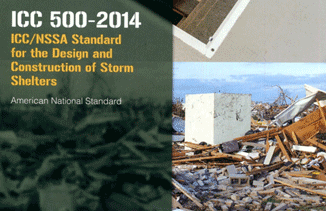 Remagen tornado safe room designs meet the requirements of ICC 500 – 2014, ICC/NSSA Standard for the Design and Construction of Storm Shelters and FEMA P361 – 361, Design and Construction Guidance for Community Safe Rooms for 250 mph EF-5 tornadoes. ICC 500 defines community shelters as serving more than 16 occupants or occupants of other than dwelling units. The Remagen Safe Room System may be used to harden schools, emergency operations centers, police and fire stations, 911 facilities, daycare facilities, hospitals, nursing homes, and office buildings. With a RemagenSafeRooms interior community tornado safe room, building occupants have safe and direct access to an interior tornado shelter for protection against severe weather or threat from an intruder without ever having to leave the host building.